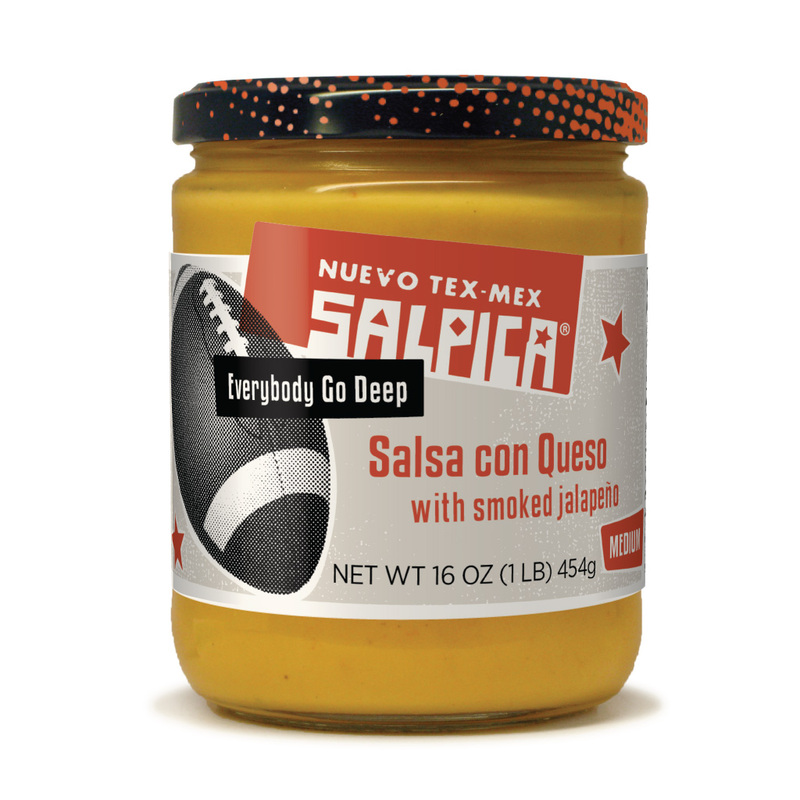 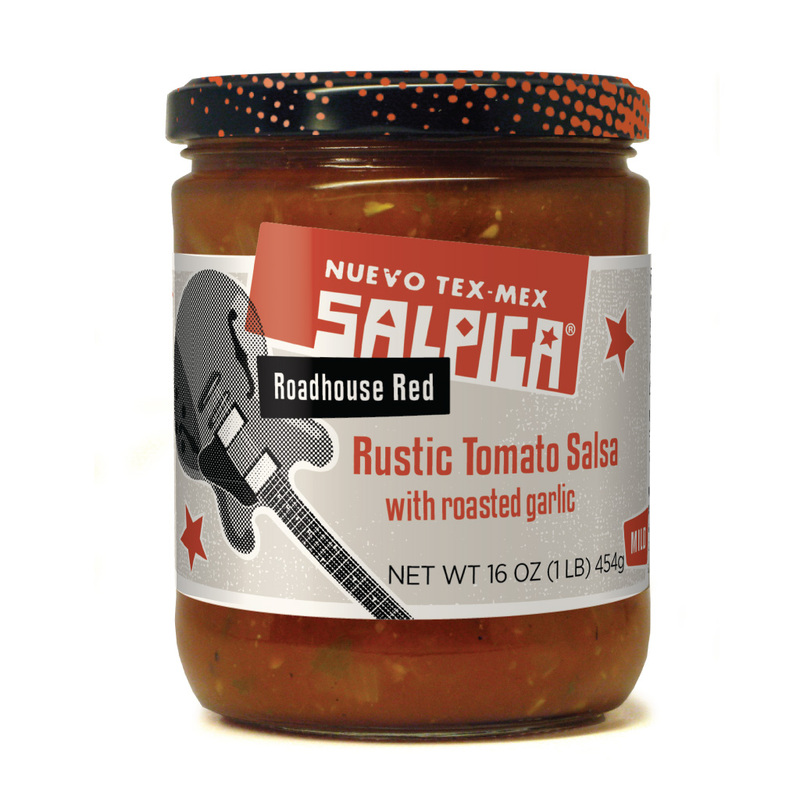 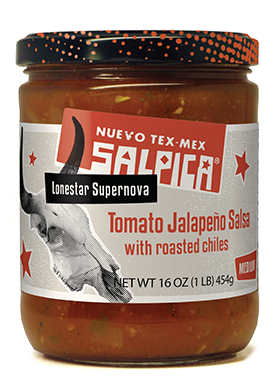 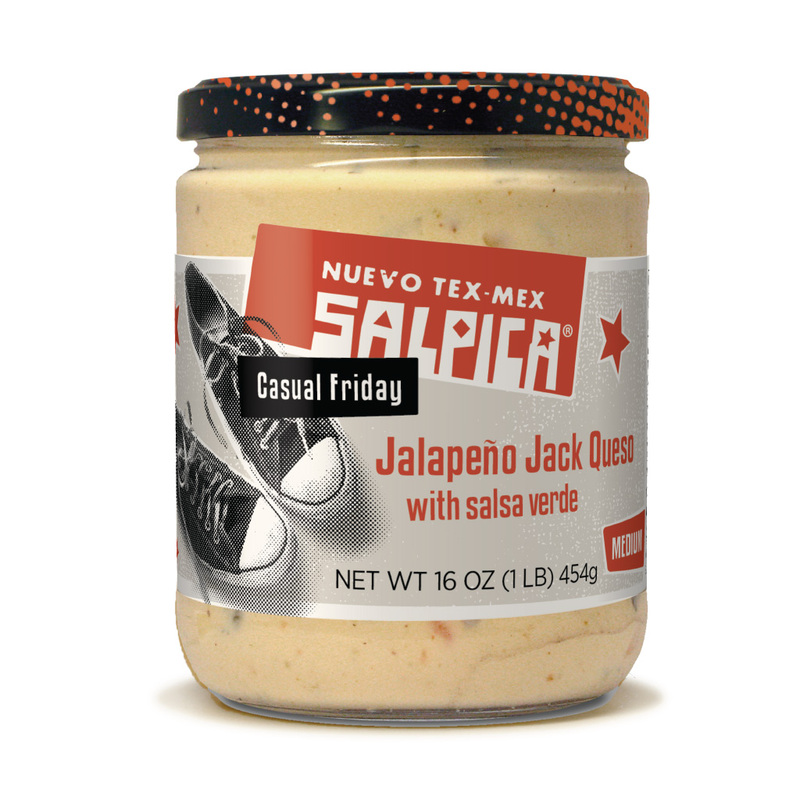 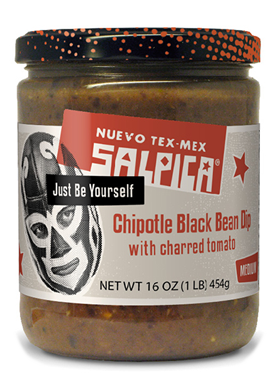 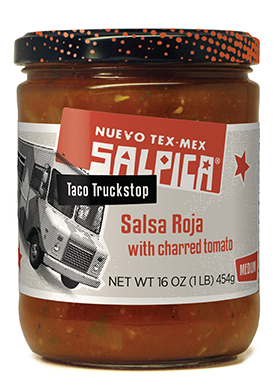 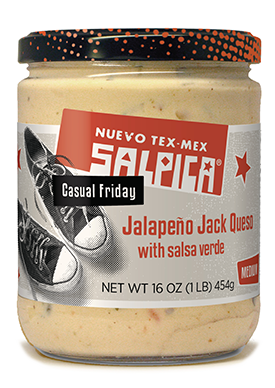 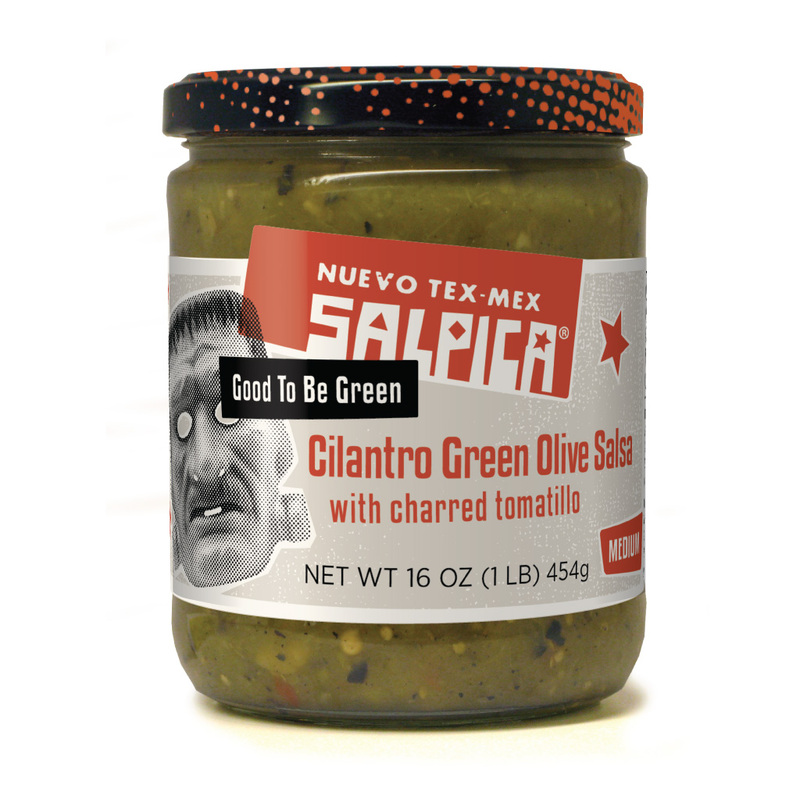 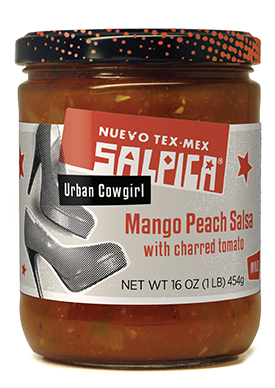 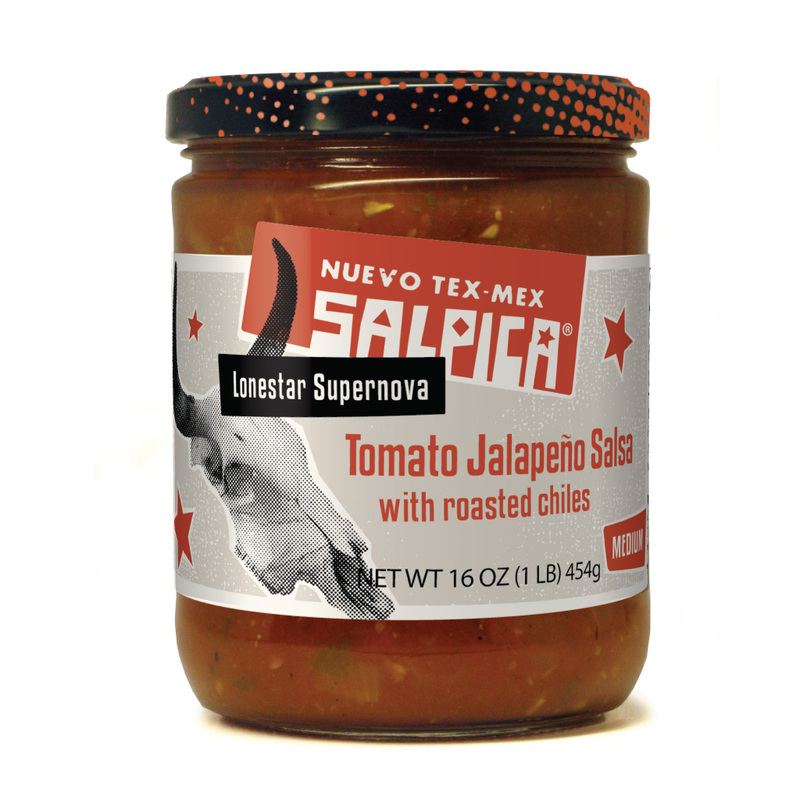 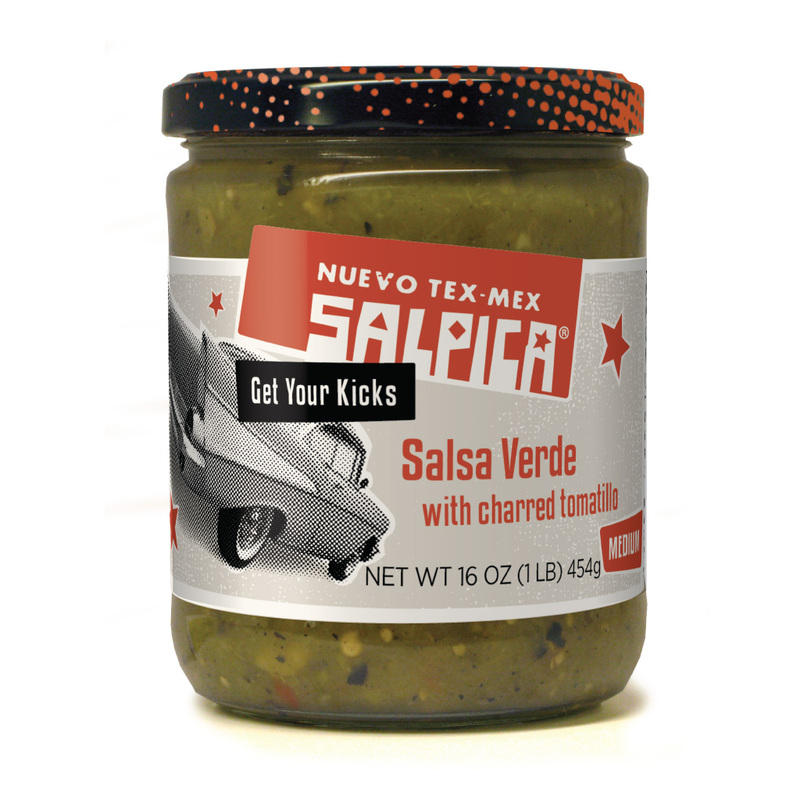 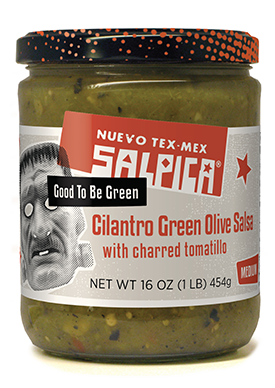 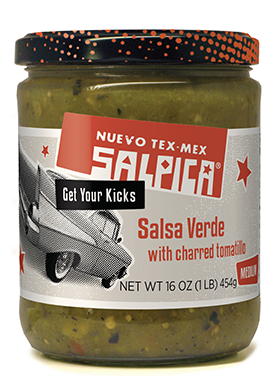 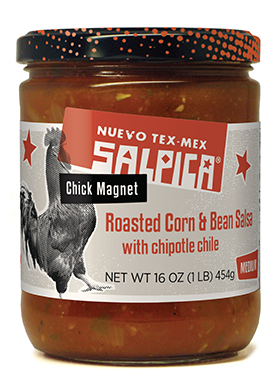 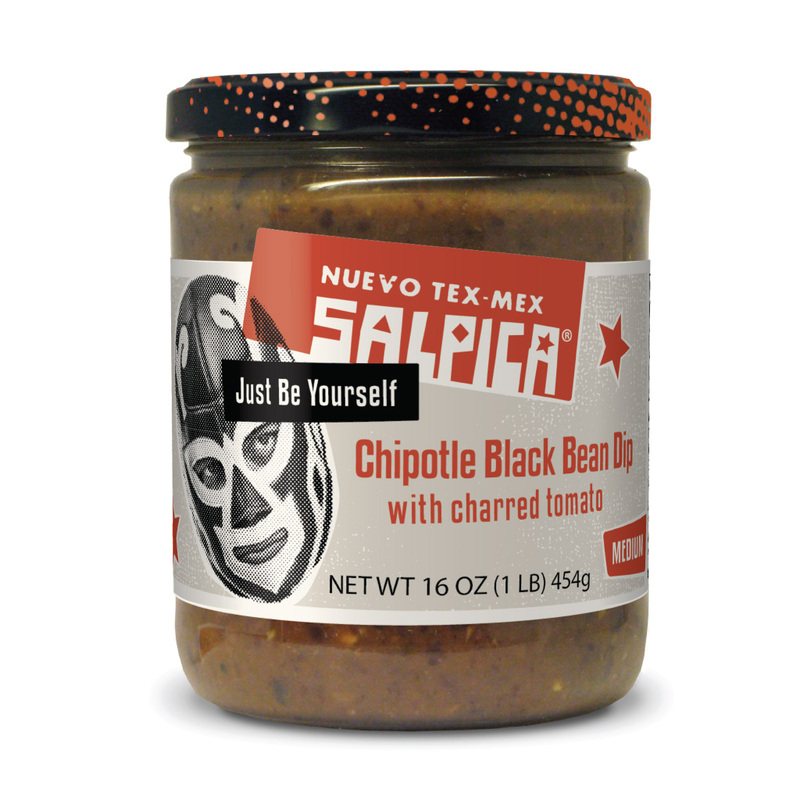 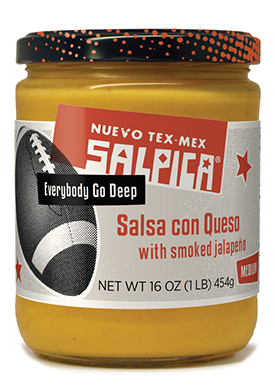 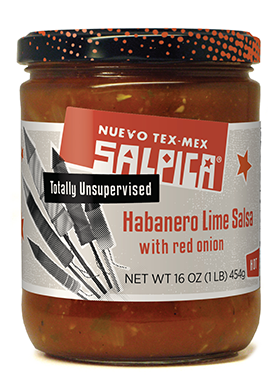 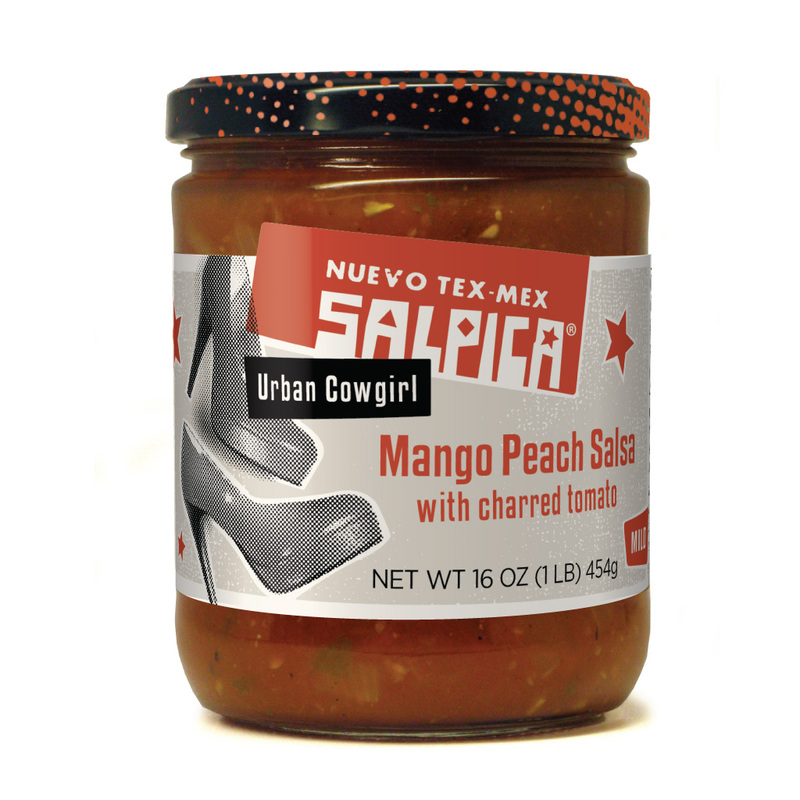 Salpica Nuevo Tex-Mex Salsas & Dips start the party with cranked up, big-belt-buckle attitude and an adventurous spirit. 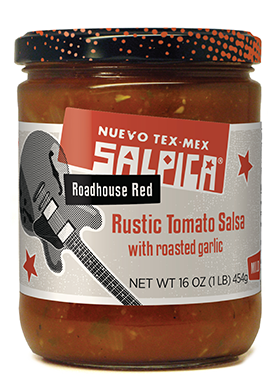 Handmade in the heart of Texas with fresh fire-roasted tomatoes and tomatillos, Salpica Salsas and Dips are inspired by the bold flavors found at local taco trucks and downhome barbecue joints. Get some.